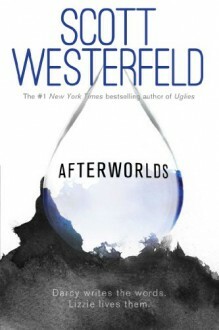 Darcy Patel has put college and everything else on hold to publish her teen novel, Afterworlds. Arriving in New York with no apartment or friends she wonders whether she's made the right decision until she falls in with a crowd of other seasoned and fledgling writers who take her under their wings...Told in alternating chapters is Darcy's novel, a suspenseful thriller about Lizzie, a teen who slips into the 'Afterworld' to survive a terrorist attack. But the Afterworld is a place between the living and the dead and as Lizzie drifts between our world and that of the Afterworld, she discovers that many unsolved - and terrifying - stories need to be reconciled. And when a new threat resurfaces, Lizzie learns her special gifts may not be enough to protect those she loves and cares about most.